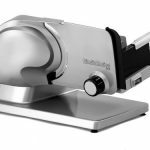 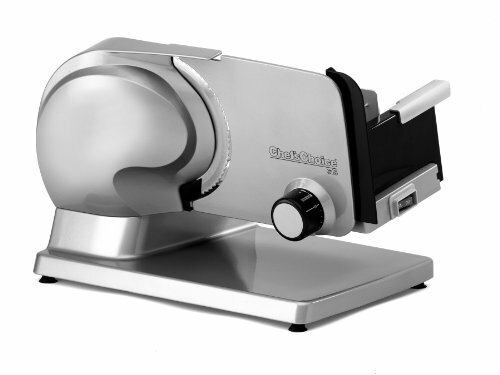 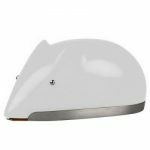 With all structural components made of cast aluminum and stainless steel, this versatile, rugged slicer features a powerful, cool-running, high-torque electric motor and reliable, smooth gears for slicing with ease and confidence. 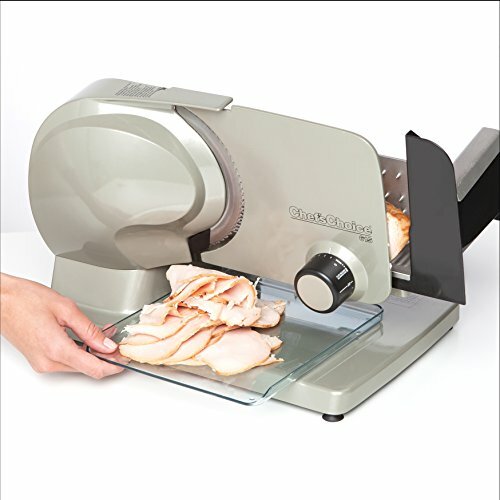 The slicer’s tilted food carriage and cantilever design provide fast, efficient slicing, delivering sliced food directly to large trays or platters. 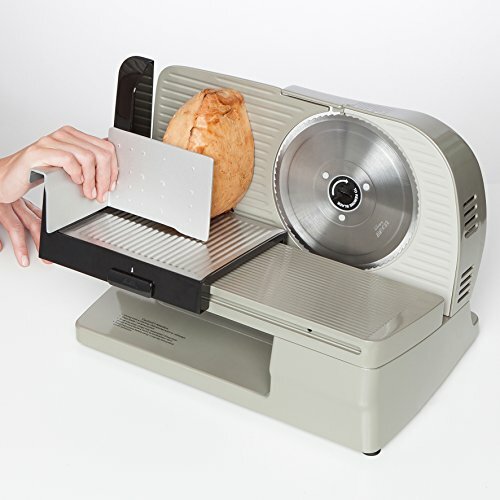 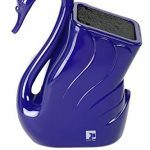 Its large-capacity food carriage retracts fully to permit slicing of extra-large roasts, hams, and other foods, while its 7-inch, multi-purpose; stainless-steel blade slices a wide variety of foods from deli-thin to approximately 1-inch thick slices. The unit’s blade, food carriage, food pusher, food deflector, and thickness guide all remove for easy cleaning, while, for added security, the food carriage locks into position limiting access to the blade when the unit is not in use. 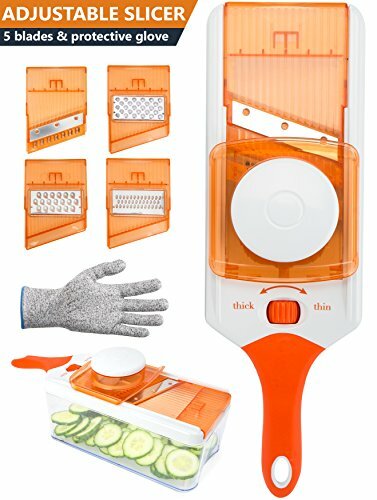 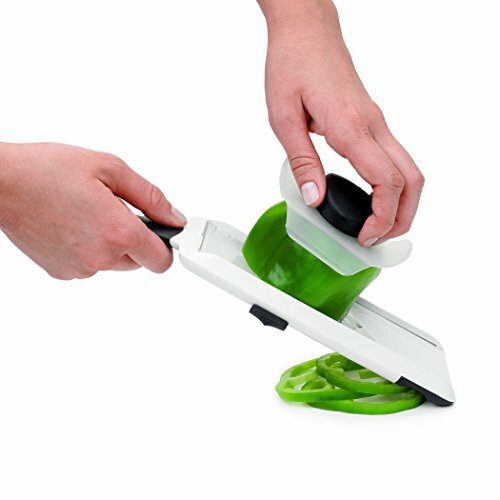 Other convenient features include the slicer’s intermittent on/off switch and its handy cord storage. 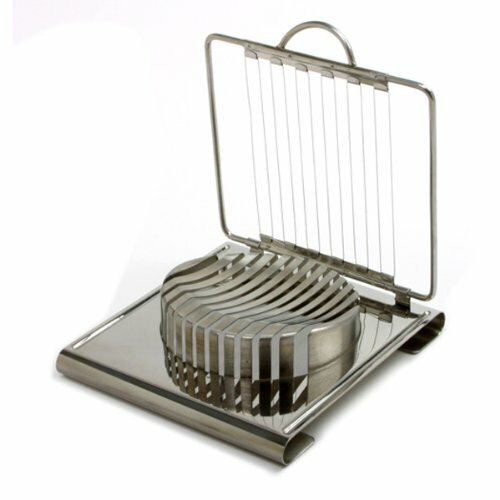 A serving tray is included. 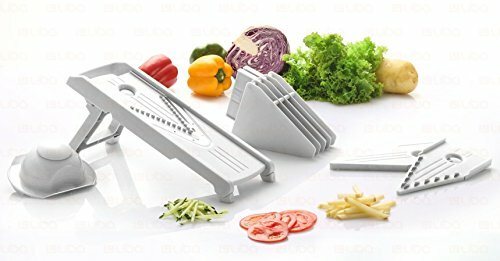 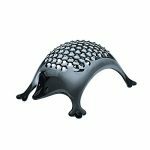 The slicer measures 15 by 11 by 11-inch and carries a 1-year limited warranty.